When The Write Side of 50 launched in November 2012, Julie was recovering from hip replacement surgery and Lois stated often, that, unlike many people her age, she had never had back pain. Well, twenty-one months later, Julie has a new hip that’s as good as new, has traveled to remote corners of the world, and may very well hold the record in all of Manhattan for museum, art house, and restaurant visits. Lois has had back pain due to trauma for nine weeks now, has moved twice, and got a divorce. 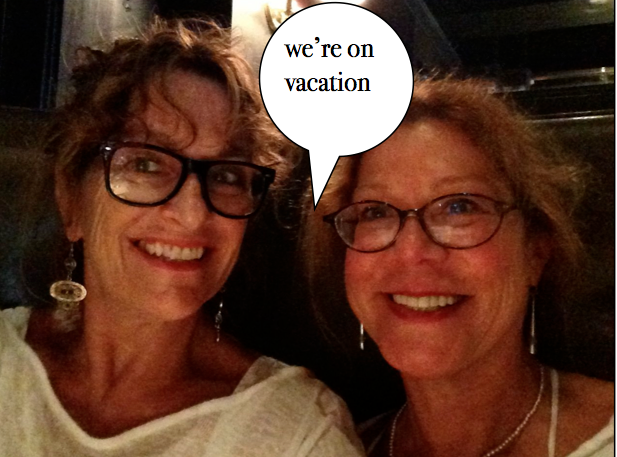 But they need a real vacation – a veg-out; a brain and body recharge. Maybe even a departure from the grid entirely – no e-mails, no worries. A beach bingo. So they put the blog in charge of itself for one week. Starting tomorrow, The Write Side of 50 will be reposting four of its favorite and most popular pieces from that first year. And also worth repeating – thank you! to all readers, followers, and contributors.